Welcome to Friday! Are you as happy that is the weekend as me? I've had a super busy week with classes but they have all been great. Today I am looking forward to getting in some self practice and then I am teaching later this evening. The Friday class which I sometimes teach has such a fun vibe because it is Friday and everyone is winding down from the week. 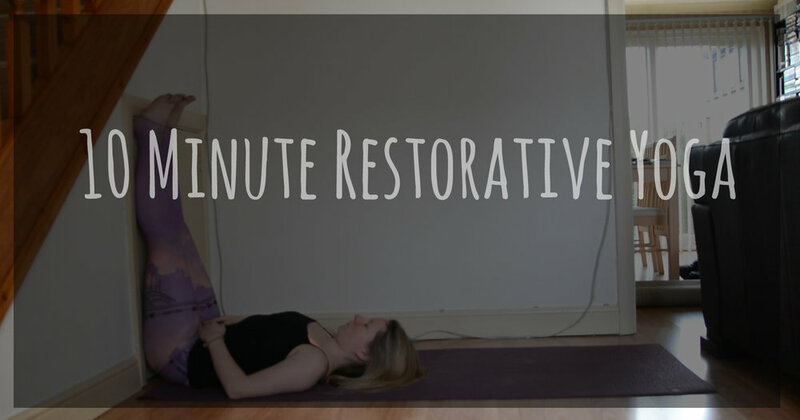 If you can't make it to class why not give my restorative yoga sequence a go? As much as I love a good dynamic flow some days when we are lacking on energy restorative yoga is the way to go. It's the perfect way to end a busy week. This flow is perfect for anytime of the day. Enjoy! And please do leave me a comment - I love reading them and connecting with you all.